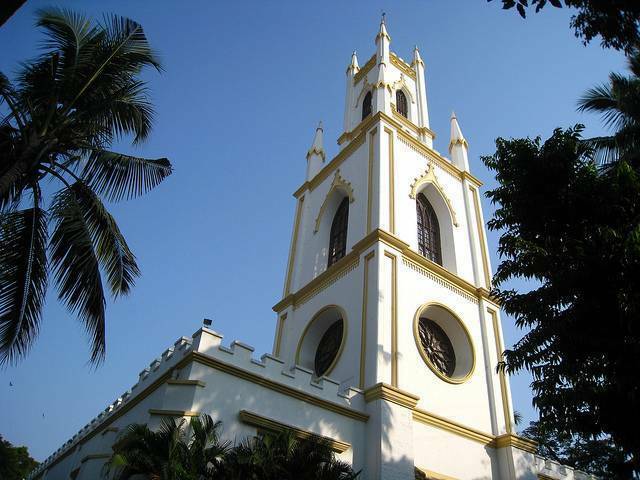 Situated on Veer Nariman Road, St.Thomas Cathedral was the first Anglican Church of Mumbai constructed in 1718. The entrance of the Church has one of the gates of Fort built for British settlement. For the same reason the street where the Cathedral stands used to be called as church gate road until it was renamed as “Veer Nariman Road” later. At the western corner of the Cathedral you can see a huge tower with a clock on it.